Home > Insights > Is Your Company Ready for “Big Data”? In today's business world, it is hard to read an article about sales and marketing strategy without seeing something about the Big Data revolution or analytics. 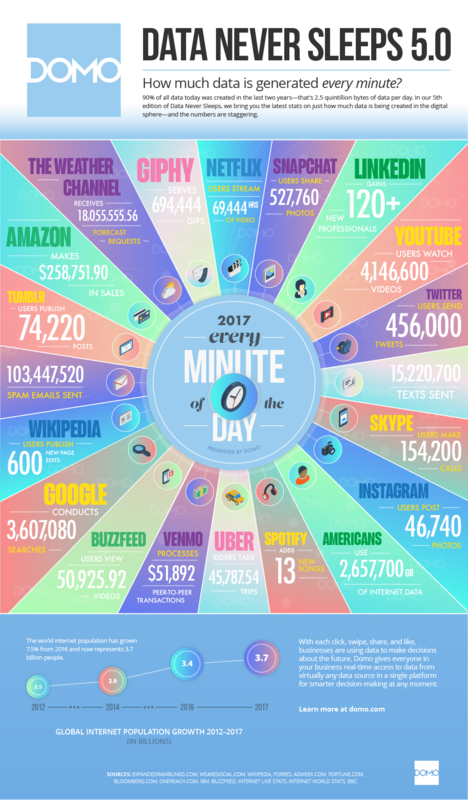 We see stories about how Facebook processes 2.5 billion pieces of content each day, Walmart collects 2.5 petabytes of data every hour and Google conducts 3,607,080 searches every minute. But what does that mean for businesses that are not the size of Facebook, Walmart or Google? Is the Big Data Revolution Applicable to Small and Mid-Sized Companies? It’s important to first understand the dimensions of Big Data. A popularly held view, one to which industry leaders such as IBM and Oracle also subscribe, holds that Big Data is composed of three dimensions: volume, velocity and variety. Volume: This refers to the magnitude of data generated. But it is important to note that the sheer volume of data should not be confused with Big Data. For example, we mentioned earlier that Walmart collects 2.5 petabytes every hour. What if we just had one hour of that data? How useful would that be? Velocity: This refers to how quickly the data is generated. While the numbers we see for Facebook, Walmart and Google seem astronomical, consider your business. On a given day, how many customer-related activities occur? Beyond transactions, consider customer service calls, website interactions, e-mail exchanges and social media activity. When you consider all potential sources of data, it adds up! Variety: This refers to the different types of data sources, any of which can fall in different spots on a “spectrum of structure.” Structured data is probably what comes to mind when you think of data in your current organization’s reports, such as scanner or sensor data, databases, customer records, etc. On the other end of the spectrum is unstructured data. This includes textual data, such as social media or customer reviews, as well as non-textual data, including things like phone calls, videos and images. The challenge for many organizations is figuring out how to add structure to this type of data. While your organization may not fall into the category of Big Data right now, it does not necessarily mean it won’t in the near future. Consider if your organization started collecting customer reviews and social media data. You would then be collecting more data (volume) continuously (velocity) from multiple data sources (variety). Thus, it is important for companies to prepare themselves to be able to organize and analyze that data, in real time, to support front-office decision making that drives the top line. How Do You Prepare Your Organization to Organize and Leverage Big Data? It starts with mobilizing your company’s resources. Companies have lots of resources, but there are three key resources for converting data into insights. And they require some investment to be successful. Physical Capital. Think of physical capital as the technologies your company will use to collect, store or analyze your data. Most physical capital will come in the form of software investments, and note that traditional software is not capable of integrating and analyzing Big Data. Human Capital. Investing in software alone is simply not enough. Companies must invest in human capital such as data scientists and strategists who are armed with skills to extract insights from the data you gather. Think of this as your analytics team, which acts as a middleman between your data and your decision makers. They should be working with marketing and sales managers to understand the type of information they consider when making decisions. Organizational Capital. This is related to the structure of your organization. Your company may need to alter organization and business processes to act on the insights generated from your data. There needs to be buy-in not only from upper management, but from front-line decision makers as well. Unfamiliarity or a lack of trust often leads to managers ignoring the insights analytics provide. Now let’s suppose your organization crosses these off — what can you expect to happen? Will analytics bring about radical changes that will take you immediately to the top? Maybe, but highly unlikely. Most evidence suggests the primary benefit of analytics is that organizations can make better decisions, faster. This can lead to better results over time. A couple examples include Southwest Airlines using speech analytics tools to assist their service personnel and Netflix using viewer preferences to craft new TV shows. While your organization might not be there yet, it is never too early to start preparing. Please contact a member of your service team, Holly James at hjames@cohenconsulting.com or Jim Boland at jboland@cohenconsulting.com for further discussion.